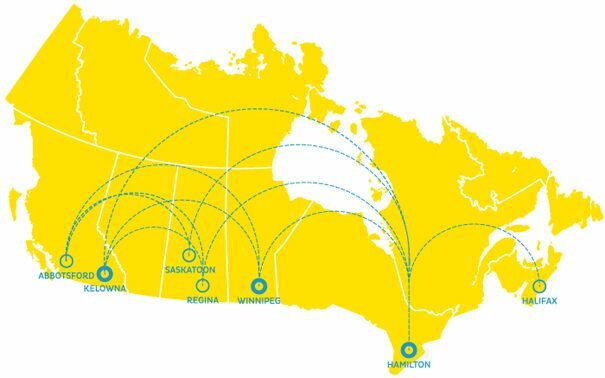 New Leaf, Canada's new 'low-cost model' airline officially launched today, and they've released their route map, including flights to and from Hamilton airport (YHM). To Halifax, it's about 40% below the typical price of $350 roundtrip. To Winnipeg, it's about 45% below the typical price of $375 roundtrip. To Regina & Saskatoon, it's about 45% below the typical price of $440 roundtrip. 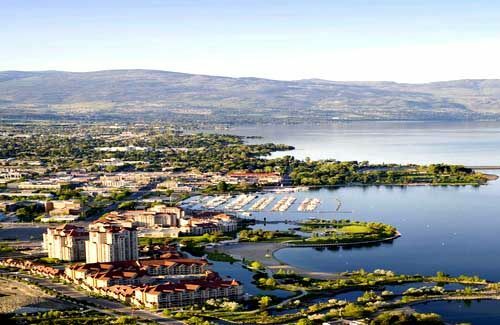 To Kelowna, BC it's about 45% below the typical price of $525 roundtrip. Keep in mind though that New Leaf's low cost model is similar to what you find in Europe, meaning their prices include just the seat on the plane and a small carry-on item, and everything else (absolutely everything) costs extra. Seats can (hopefully soon) be booked at www.flynewleaf.ca - and they begin flying on February 12, 2016. NOTE: So far, I haven't been able to locate any fares to or from Hamilton in the New Leaf system, other than to Winnipeg. Their Facebook and Twitter page suggests that nobody else can either. Departures from other cities on their route map are working. Presumably other destinations will soon be loaded into their system. flight deals, british columbia, canada, , bc, north america, hamilton, yhm, kelowna, ylw, new leaf airlines, halifax, nova scotia, yhz, winnipeg, manitoba, ywg, regina, saskatchewan, yqr, saskatoon and yxe.